The construction industry has been notoriously slow to adopt new technology, but a revolution is well on its way. 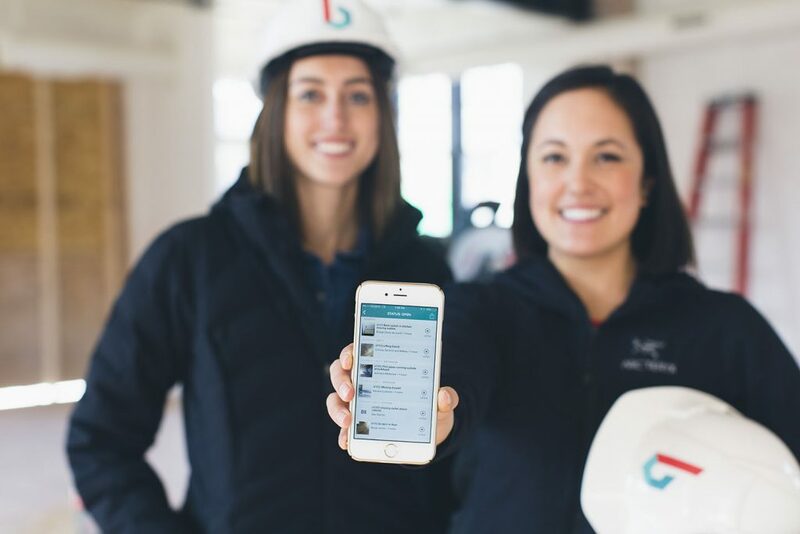 As Baby Boomers retire, and a new generation of professionals take over site management, job sites will become increasingly reliant on apps that help them communicate about tasks, safety, schedules, and so much more. Then, like so many other industries, everyday data will give way to new insights. There’s room for a variety of mobile software on the job site. If these predictions seem obvious, it’s because they are. The same shift is well underway in various other industries. But now it’s construction’s turn, and the revolution is happening fast. When we started Bridgit, my co-founder and I spent a lot of time on job sites. Before creating any software, we spoke to numerous construction professionals, and asked them about their daily challenges. There was one obvious trend: frustration. Many of our contacts were trying to manage a fast-paced environment with slow, manual processes. To keep all their contacts and data organized, project managers were hacking together their communications and reports with multiple programs. The process typically involved uploading smartphone pictures into Microsoft Word, creating a detailed list of incomplete tasks, and manually emailing that document to individual subcontractors. After sending the list, they would manually follow up with each subcontractor to ensure the work was completed. It’s no wonder they were so frustrated. Even today, a huge number of job sites are still relying on these manual processes—and there’s a good reason why. Traditional software in the industry focused on the challenges in the construction office: a very different environment from the job site, where a handful of project managers could be responsible for hundreds of tradesmen, each from a separate company, every day. When we spoke to construction professionals, it was clear they needed something mobile. In fact, they were already using their smartphones on site. All they needed was some construction software to use on them. One app can be a huge time-saver for construction sites, and these benefits will extend to the office, and the entire company. To start, we automated the manual and complicated process of task management. With our app, project managers can use their smartphones and tablets to quickly log and track tasks. Instead of uploading photos and information to a blank document or template, Bridgit Closeout logs it all, from wherever the user is on site. What’s more, those tasks are automatically communicated to the subcontractor responsible, who can also update and communicate on progress. And task management is just the beginning. There’s room for a wide variety of mobile software on the job site. For example, project managers could use similar software to log safety issues they come across on site, immediately notifying the entire team. The whole site would be aware of the location, and those responsible would know to fix it. Bottom line: one app can be a huge time-saver for construction sites, and these benefits will extend to the office, and the entire company. It’s hard to believe, but nearly 50 percent of construction professionals prepare daily reports manually, and over 60 percent use manual processes and spreadsheets to track performance on a project. With accurate, real-time data from multiple projects, construction sites and offices can gain insight into which factors are pushing their success, and which ones are holding them back. It can influence decisions across the entire project: subcontractors, materials, budgets, and timelines. It all starts with the devices they’re already carrying, but construction software is just beginning to take advantage of this. The revolution has been slow to begin, but in the coming years, the momentum is sure to build.